January 13, 2016 Severin Films announces an explosive new Blu-Ray compilation of rare trailers, transferred in 2k from a collection of recently unearthed 35mm reels. Get ready for the most hardkicking, facesmashing, snakefisting trailer collection of them all! 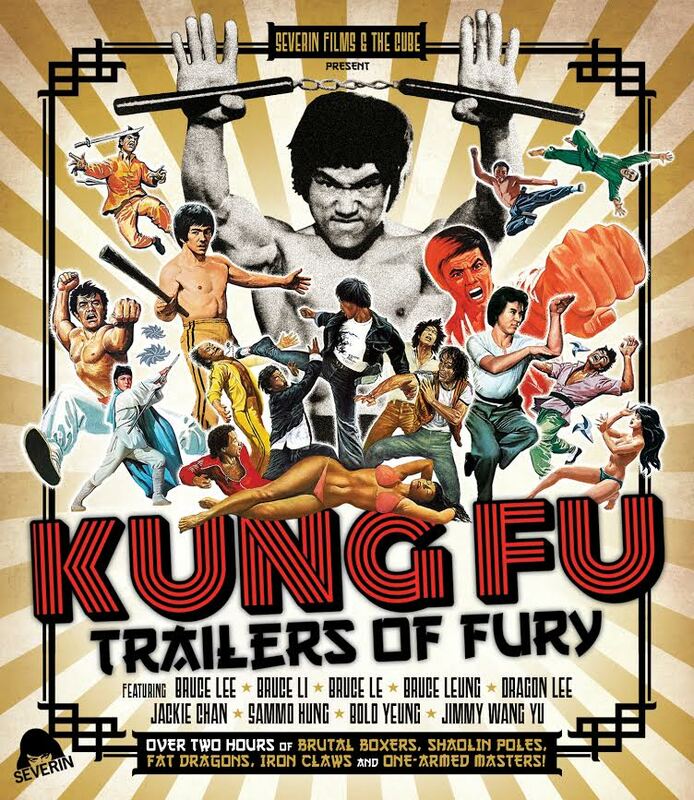 From the golden age of kung fu cinema comes this insane tsunami of masters, mobsters, furious vengeance and incredible fighting styles, starring Bruce Lee and his clones Bruce Li, Bruce Le, Dragon Lee and Bruce Leung, Jackie Chan, Sammo Hung, Chuck Norris & Jimmy Wang Yu. 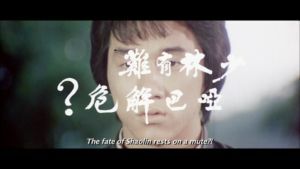 These are the most over the top and rarely seen original trailers for Hong Kong classics that include THE WAY OF THE DRAGON, DEATH BLOW, TWO CHAMPIONS OF SHAOLIN, DAGGERS 8, SNAKE IN THE EAGLE’S SHADOW, SHAOLIN WOODEN MEN, THE STORY OF DRUNKEN MASTER, ENTER THE FAT DRAGON, BRUTAL BOXER and many more, plus exclusive new bonus features that deliver unique historical and cultural perspectives on the amazing world of martial arts movies. Exclusive new bonus features include the half hour documentary A Brief History Of Kung Fu Cinema, The Way Of The Cube featurette on the curious discovery of the trailers beneath the stage at a former Asian cinema in the UK, and an audio commentary with martial arts film experts Ric Meyers (author of Films Of Fury), Michael Worth (The Bruceploitation Bible), Martial Arts Teacher Greg Schiller and Rick Stelow of Drunken Master video.